Ready to upgrade to a luxury family vehicle? 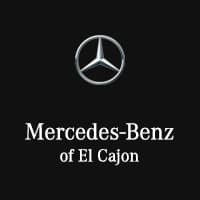 Mercedes-Benz of El Cajon has a dazzling selection of Mercedes-Benz SUVs and Wagons available near San Diego and Chula Vista. Whether you’re shopping for a new Mercedes-Benz GLA or E-Class Wagon, our extensive new inventory holds a wide range of options. Below, you’ll find 64 Mercedes-Benz Wagons and Mercedes-Benz SUVs for sale. Find yours, then get pre-approved online for financing or leasing. The 2019 Mercedes-Benz GLA is agile, adventurous and adaptable. Taut, trim and muscular, the GLA is big on style from its iconic grille to its LED taillamps. Big 18in or 19in wheels and black fender flares lend a confident stance, while chrome and aluminum add elegant accents to the bumpers and roof. With available hands-free access, just a kick under the bumper can open the standard power liftgate. It's a grand opening to a generous 43.6 cu ft of cargo room with the rear seats folded, or a generous trunk with all five seats in use. Under the hood, you’ll find turbo power and two liters of pure energy. With 208 turbocharged horsepower, the GLA quenches your thirst for performance with a minimal appetite for fuel. Advanced direct injection and multispark ignition self-tune on the fly, to keep your enthusiasm at full boost. The 7G-DCT transmission offers the smooth refinement of an automatic with sporty reflexes. Its dual-clutch design shifts faster than a human can, while its shift paddles let you take charge of its seven speeds anytime. Available variable-torque 4MATIC all-wheel drive can sense the very onset of wheel slip, and instantly reapportion up to half of the engine's power to the rear wheels on demand, plus off-road mode makes the GLA even more capable. Dynamic select dials in the GLA's performance character with the tap of a console button. Throttle, shifting and more sharpen in Sport mode, ease up in ECO, keep calm in Comfort and there's even a mode you can set up yourself. The GLA offers a range of convenient features including an 8in color display, Bluetooth integration, Apple CarPlay and Android Auto compatibility, remote start, remote lock/unlock and built-in Wi-Fi.The 2019 Mercedes-Benz GLA is agile, adventurous and adaptable. Taut, trim and muscular, the GLA is big on style from its iconic grille to its LED taillamps. Big 18in or 19in wheels and black fender flares lend a confident stance, while chrome and aluminum add elegant accents to the bumpers and roof. With available hands-free access, just a kick under the bumper can open the standard power liftgate. It's a grand opening to a generous 43.6 cu ft of cargo room with the rear seats folded, or a generous trunk with all five seats in use. Under the hood, you’ll find turbo power and two liters of pure energy. With 208 turbocharged horsepower, the GLA quenches your thirst for performance with a minimal appetite for fuel. Advanced direct injection and multispark ignition self-tune on the fly, to keep your enthusiasm at full boost. The 7G-DCT transmission offers the smooth refinement of an automatic with sporty reflexes. Its dual-clutch design shifts faster than a human can, while its shift paddles let you take charge of its seven speeds anytime. Available variable-torque 4MATIC all-wheel drive can sense the very onset of wheel slip, and instantly reapportion up to half of the engine's power to the rear wheels on demand, plus off-road mode makes the GLA even more capable. Dynamic select dials in the GLA's performance character with the tap of a console button. Throttle, shifting and more sharpen in Sport mode, ease up in ECO, keep calm in Comfort and there's even a mode you can set up yourself. The GLA offers a range of convenient features including an 8in color display, Bluetooth integration, Apple CarPlay and Android Auto compatibility, remote start, remote lock/unlock and built-in Wi-Fi. The 2019 Mercedes-Benz GLC reasserts the sport in SUV.. A long wheelbase, big wheels and wide track add up to space, stability and sportiness. Crisp proportions and chrome details reflect its ideal balance of athleticism and elegance. Venture through wide rear doors to the 40/20/40-split rear seats and load more with the standard power liftgate. There's something for everyone to enjoy in the GLC, from handcrafted Nappa leather to heated front and rear seats, multicolor ambient lighting, new 3-zone climate control, and a giant Panorama roof. The turbocharged GLC 300 and GLC 300 4MATIC are both energetic and energy-conscious. They embrace the road and your passion for driving with composed comfort and a feeling of confident control. With 241hp and nine speeds, this turbocharged SUV can rush to 60 in just 6.3 seconds. The advanced direct injection and multispark ignition can self-tune in milliseconds to optimize performance and efficiency. 4MATIC all-wheel drive continually sends the engine's torque to the wheels that can put it to the best use.. The 9G-TRONIC automatic is smooth, sporty and smart, while dynamic select lets you dial in the GLC's driving character, from enthusiastic Sport mode to easygoing ECO and there's even a mode you can set up as you like. The GLC offers a range of convenient features for staying connected on the road, including Bluetooth integration, navigation, Apple CarPlay and Android Auto compatibility, intuitive touchscreen controls, remote start, remote lock/unlock and built-in Wi-Fi. You’ll also find a comprehensive suite of safety features such advanced driving assists and radar.The 2019 Mercedes-Benz GLC reasserts the sport in SUV.. A long wheelbase, big wheels and wide track add up to space, stability and sportiness. Crisp proportions and chrome details reflect its ideal balance of athleticism and elegance. Venture through wide rear doors to the 40/20/40-split rear seats and load more with the standard power liftgate. There's something for everyone to enjoy in the GLC, from handcrafted Nappa leather to heated front and rear seats, multicolor ambient lighting, new 3-zone climate control, and a giant Panorama roof. The turbocharged GLC 300 and GLC 300 4MATIC are both energetic and energy-conscious. They embrace the road and your passion for driving with composed comfort and a feeling of confident control. With 241hp and nine speeds, this turbocharged SUV can rush to 60 in just 6.3 seconds. The advanced direct injection and multispark ignition can self-tune in milliseconds to optimize performance and efficiency. 4MATIC all-wheel drive continually sends the engine's torque to the wheels that can put it to the best use.. The 9G-TRONIC automatic is smooth, sporty and smart, while dynamic select lets you dial in the GLC's driving character, from enthusiastic Sport mode to easygoing ECO and there's even a mode you can set up as you like. The GLC offers a range of convenient features for staying connected on the road, including Bluetooth integration, navigation, Apple CarPlay and Android Auto compatibility, intuitive touchscreen controls, remote start, remote lock/unlock and built-in Wi-Fi. You’ll also find a comprehensive suite of safety features such advanced driving assists and radar. GLA — fuel-efficient compact SUV with available 4MATIC® all-wheel drive. GLC — compact SUV with a 241-hp base engine. GLE — midsize SUV with a towing capacity of 7,200 pounds (with optional trailer hitch). GLS — full-size SUV with seating for seven people. G-Class — five-person SUV built for off-roading and rough terrain. E-Class Wagon — seats seven and offers all the luxuries of the E-Class. Contact us with any questions about the models shown above!